1. A process of revision of Serbia’s Criminal Code has been going on for quite a while. A task force was apparently set up for the purpose. Nothing is publicly known about the composition of this committee or its brief. 2. One of the task force’s goals (or directives) is apparently to introduce a change in the Criminal Code that would make “genocide denial” a crime in Serbia. Accordingly, the existing article 387 of the Criminal Code was revised and supplemented with a new clause (5) that would make such denial prosecutable with a maximum punishment of five years in prison. 4. Information about the proposed revision of the Criminal Code became known to limited segments of the Serbian public only on Wednesday of last week, when the text was circulated on the internet. The media did not report a single word about this significant legal development up to that point. 5. On Wednesday, we called Milos Jovanovic, a professor of law and also vice-president of the Serbian Democratic Party, a small parliamentary group with three deputies in Parliament, to ask him what his party was planning to do about this. His response was that he had no idea of what we were talking about and had not heard that such a thing was afoot at all. Once we informed him and sent him the text of the proposed new legislation, he called a press conference and expressed his party’s vehement opposition to this plan. 6. The following day, something resembling a debate took place in parliament with various parties taking positions in favor and against the “genocide denial” law. The ruling Serbian Progressive Party, which has a majority in parliament, was studiously mum, leaving advocacy for this obnoxious law to its junior coalition members. 7. However, probably taken aback by the uproar, the minister of justice, Nela Kuburovic, finally made a public statement on this issue. She said that adoption of a “genocide denial law” was Serbia’s “European obligation.” She did not cite a specific source for her claim. 8. With a bit of internet research later that evening on Thursday last week, we discovered the convoluted origin of this attempt to criminalize an important aspect of free speech in Serbia. It is the Framework Decision on Racism and Xenophobia adopted by the Council of Europe on 28 November 2008 (see full text and further references in footnote). It deals with genocide denial only in passing, focusing instead on the topics indicated in its title. But more importantly, it clearly states that whatever the directive requires is applicable only to EU member-countries, which Serbia is not. Therefore, minister Kuburovic’s assertion that the new law is a “European obligation” is false. 9. Additionally, the Framework Decision contains wording with reference to genocide denial which obviously was taken over by the Serbian Task Force practically without revision or adaptation, i.e. simply translated, and incorporated as such into their proposal. A more striking example of slavishness is difficult to imagine. 10. According to the 2015 Council of Europe compliance report, of 29 EU member countries thirteen did not follow the directive in the Framework Decision of 2008 and as of last year did not introduce the required legislation. No punishment for such countries was indicated or envisioned. That makes Serbia’s rush to comply with a non-binding directive all the more bizarre. 11. Also relevant is a 2015 judgment of the European Court of Human Rights which held that a Turkish public figure could not be prosecuted for denying the Armenian genocide in Switzerland because he had a right to articulate his position to that effect as an exercise in free speech. That raises the question of whether the Serbian regime’s legal advisers are aware that their proposed genocide denial law may be subject to nullification once it is brought on appeal before the European court? 12. There is also a distinct possibility that the proposed Serbian law is not only contrary to the provisions of the European Convention of Human Rights, but is unconstitutional in Serbia as well. Articles 18 and 43 of the Serbian Constitution guarantee freedoms of conscience and public expression. 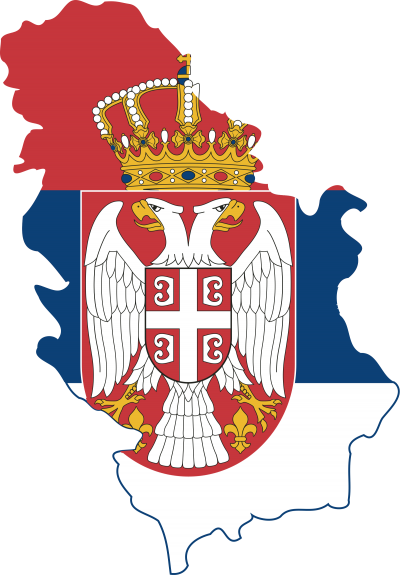 Thank you for supporting the rule of law in Serbia.